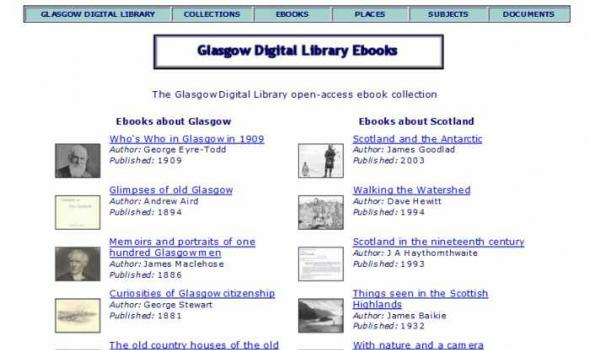 This collection is part of the Glasgow Digital Library and is maintained by the Centre for Digital Library Research at the University of Strathclyde . 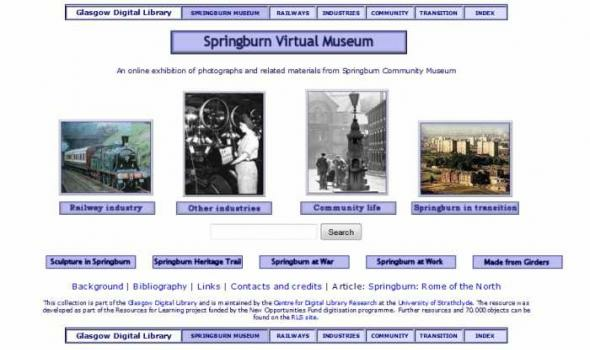 The resource was developed as part of the Resources for Learning project funded by the New Opportunities Fund digitisation programme. 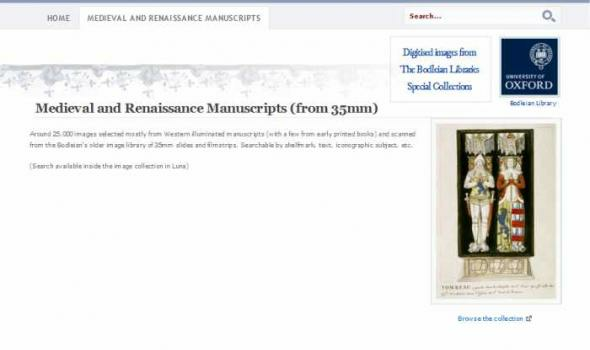 Further resources and 70,000 objects can be found on the RLS site . 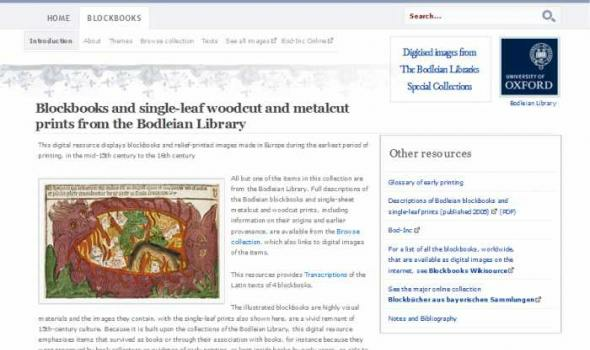 These books have been digitised and converted to web format at the Centre for Digital Library Research . Research is continuing into ebook development and indexing, partly funded by the University of Strathclyde Research and Development Fund. 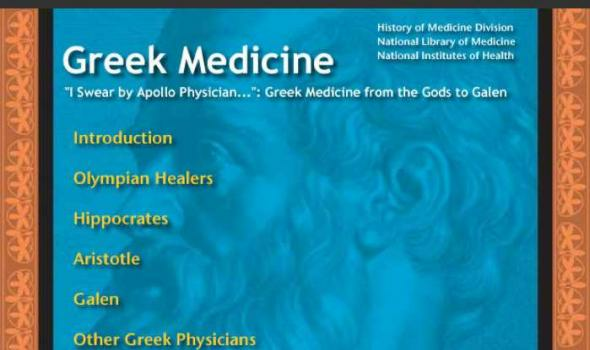 Home Greek Collection Digitised images from The Bodleian Libraries Special Collections Bodleian Library Search: Greek Manuscripts at Oxford Browse the collection online. 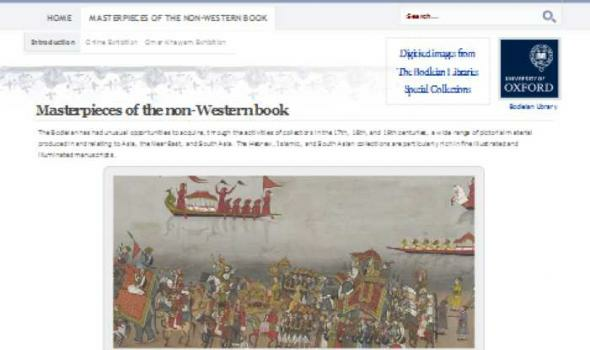 Digitised images from The Bodleian Libraries Special Collections Search: Masterpieces of the non-Western book The Bodleian has had unusual opportunities to acquire, through the activities of collectors in the 17th, 18th, and 19th centuries, a wide range of pictorial material produced in and relating to Asia, the Near East, and South Asia. 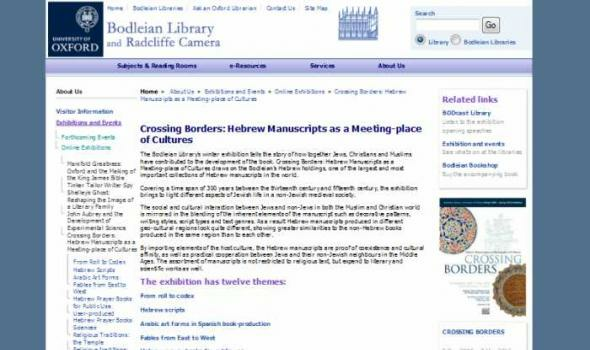 The Hebrew, Islamic, and South Asian collections are particularly rich in fine illustrated and illuminated manuscripts. Islamic Collections The Bodleian’s Islamic collections include many fine examples of Arabic and Persian manuscript ornamentation. 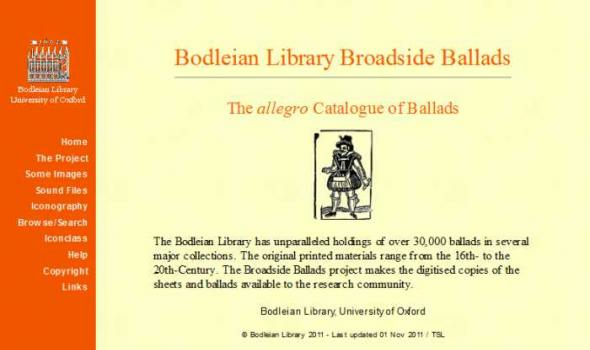 The Broadside Ballads project, undertaken with funding from the NFF Specialised Research Collections initiative, aims to make the ballads and ballad sheets available to the research community. 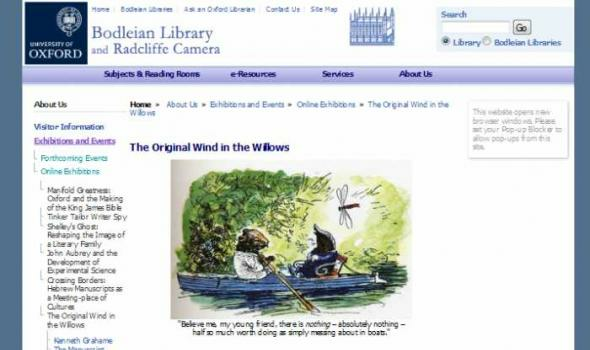 About Us Parliament Week (31 October - 6 November 2011) The Original Wind in the Willows This online display, launched by the University of Oxford?s Bodleian Library to celebrate World Book Day 2007, reveals the origins of Kenneth Grahame?s masterpiece of children?s literature, The Wind in the Willows . 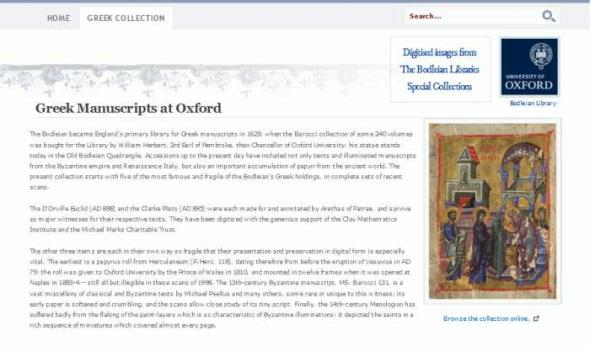 It is an expanded version of an exhibition mounted on 1 March 2007 for one day only in the Bodleian Library?s famous Divinity School, and reproduces images from the original letters and manuscripts in which Grahame brought his famous characters to life one hundred years ago. The Sheldon Tapestry Map of Gloucestershire The Bodleian Library acquired at auction a further part of a unique series of Tudor tapestry maps. 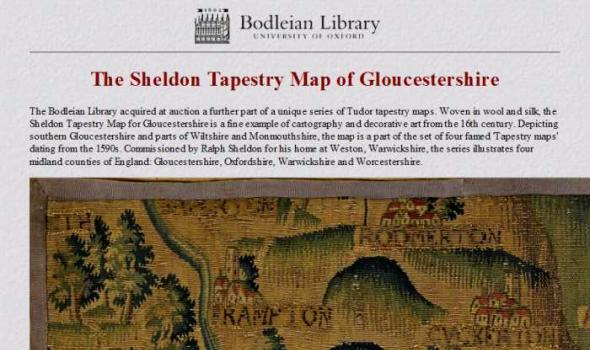 Woven in wool and silk, the Sheldon Tapestry Map for Gloucestershire is a fine example of cartography and decorative art from the 16th century. Depicting southern Gloucestershire and parts of Wiltshire and Monmouthshire, the map is a part of the set of four famed 'Tapestry maps' dating from the 1590s. Commissioned by Ralph Sheldon for his home at Weston, Warwickshire, the series illustrates four midland counties of England: Gloucestershire, Oxfordshire, Warwickshire and Worcestershire. 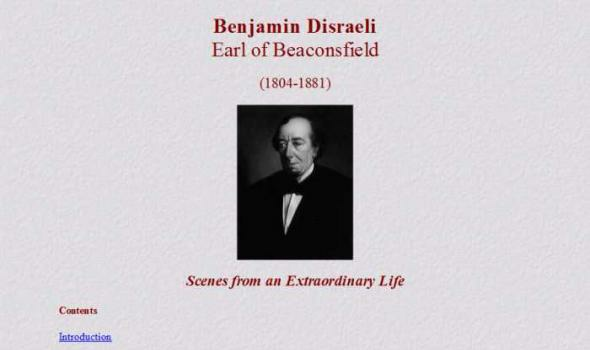 Benjamin Disraeli Earl of Beaconsfield Contents Some key milestones in Disraeli's life Introduction This digital version of the Bodleian exhibition (held 4 November 2003-1 May 2004) marks the culmination of a project which began in the late 1990s with the decision taken by the National Trust, the owners of Disraeli's private papers, and the Bodleian Library, the custodians, to commemorate the bicentenary of Benjamin Disraeli, Earl of Beaconsfield (1804-81). The book Benjamin Disraeli, Scenes from an Extraordinary Life (Bodleian Library, 2003), edited by Helen Langley which accompanied the exhibition included essays written by the Rt. Hon. Kenneth Clark, QC, MP, Dr Angus Hawkins, Annabel Jones, Dr Timothy Mowl, Dr Roland Quinault and Jane Ridley. 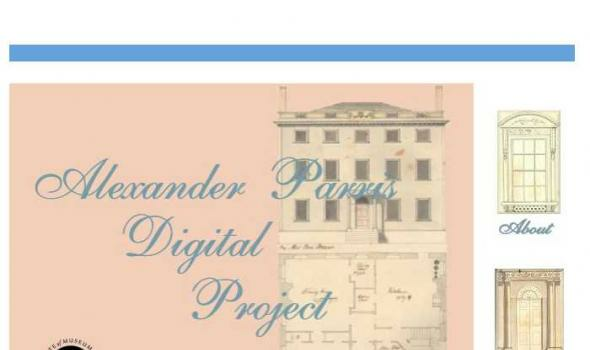 Portraits in Oxford * An integrated digital catalogue of portraits in the University of Oxford and its constitutent colleges. 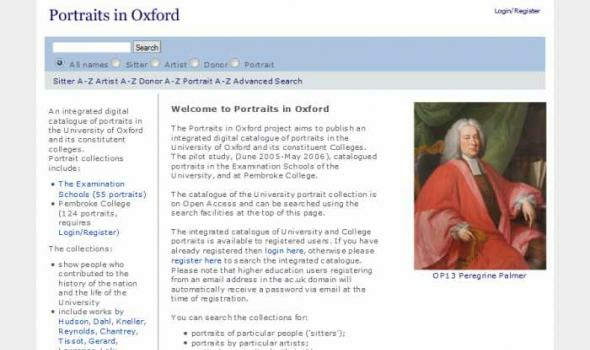 Portrait collections include: The collections: Welcome to Portraits in Oxford The Portraits in Oxford project aims to publish an integrated digital catalogue of portraits in the University of Oxford and its constituent Colleges. The pilot study, (June 2005-May 2006), catalogued portraits in the Examination Schools of the University, and at Pembroke College. 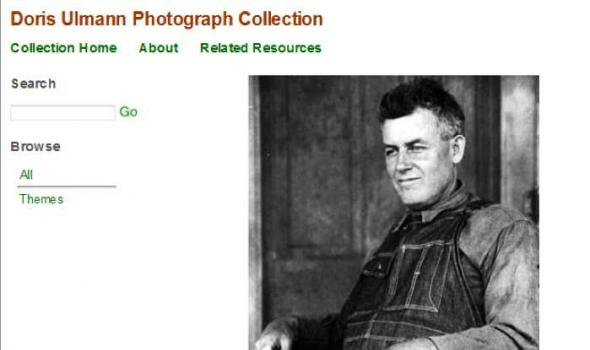 The catalogue of the University portrait collection is on Open Access and can be searched using the search facilities at the top of this page. 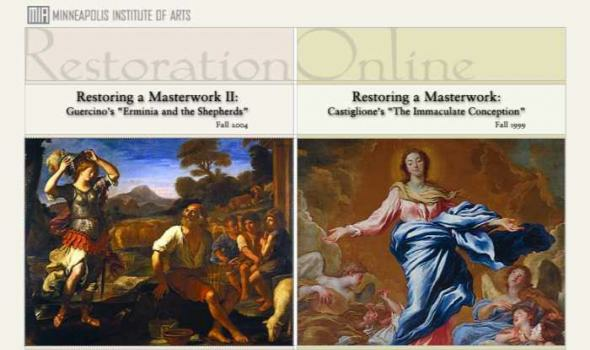 The integrated catalogue of University and College portraits is available to registered users. 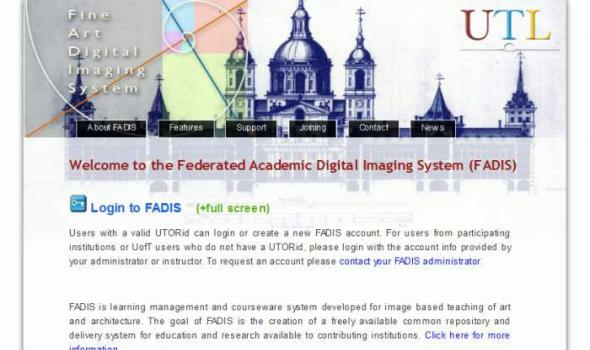 About FADIS FADIS (Fine Art Digital Imaging System) is a content management system designed for the teaching, studying and researching of art, architecture and visual culture. 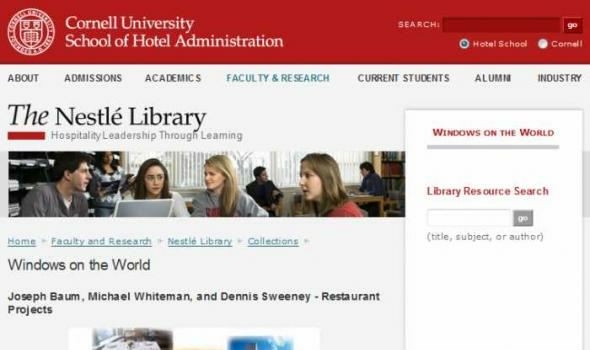 FADIS combines the digital management of electronic resources with a courseware system and provides an intuitive interface that reflects higher educational teaching needs. The goal of FADIS is the creation of a shared common repository amongst participating institutions. 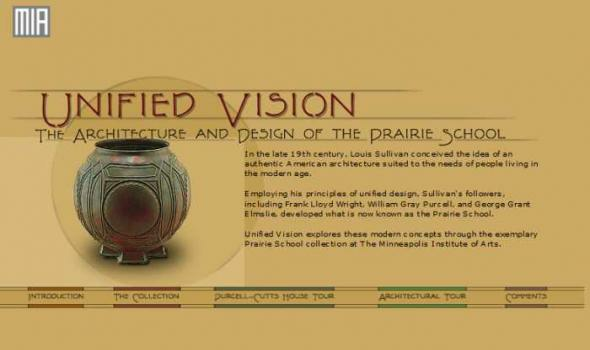 FADIS is currently free to any participating institution contributing content to the collection. 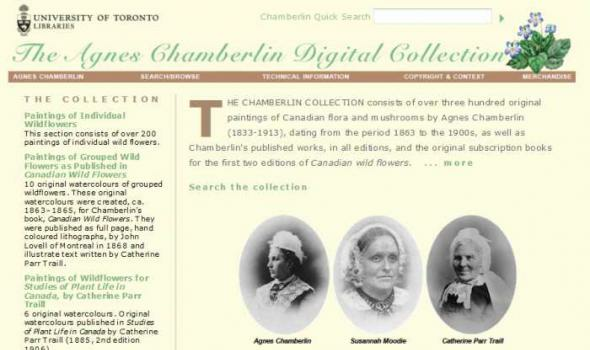 AGNES CHAMBERLIN In addition to the original paintings the Chamberlin digital collection also includes early editions of Canadian Wild Flowers and two editions of Studies of Plant Life. The story of how Canadian Wild Flowers came to be published is a fascinating one and throws considerable light on the state of publishing in Canada at the time, as well as on the determination and talent of Agnes herself. When her husband died in 1865 Agnes was left with very limited means, and set to work to supply illustrations for thirty of the flowers described in Mrs. Traill's manuscript, depicting them in ten groupings. Having secured five hundred subscribers for the work, she then found there was no lithographer in Toronto willing to undertake the printing. 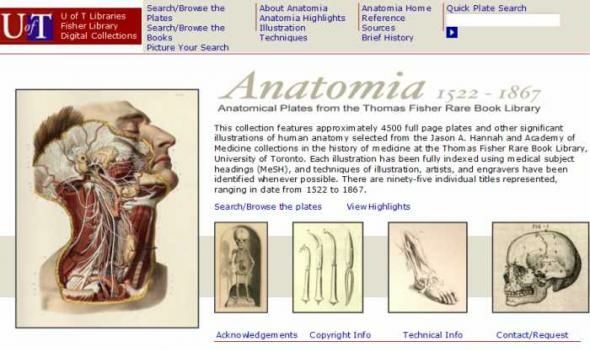 This collection features approximately 4500 full page plates and other significant illustrations of human anatomy selected from the Jason A. Hannah and Academy of Medicine collections in the history of medicine at the Thomas Fisher Rare Book Library, University of Toronto. 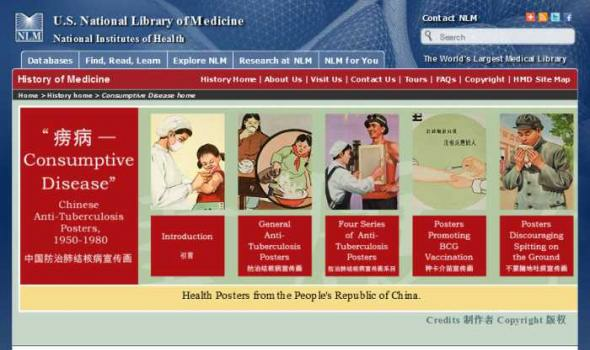 Each illustration has been fully indexed using medical subject headings (MeSH), and techniques of illustration, artists, and engravers have been identified whenever possible. 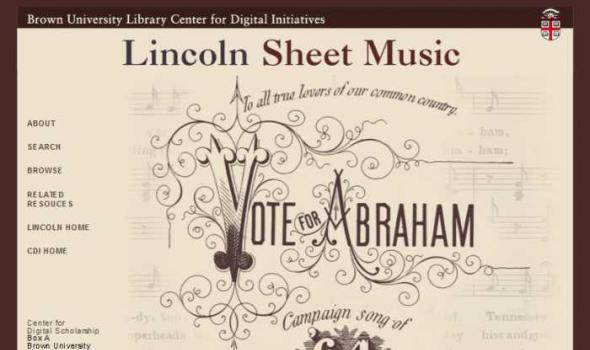 There are ninety-five individual titles represented, ranging in date from 1522 to 1867. 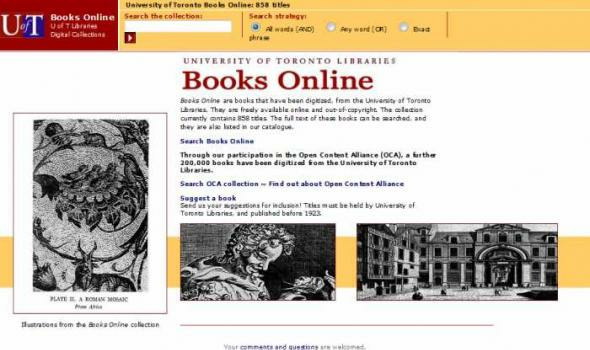 Books Online are books that have been digitized, from the University of Toronto Libraries. 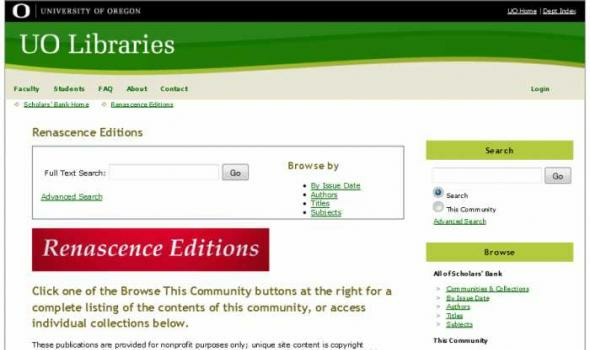 They are freely available online and out-of-copyright. The collection currently contains 858 titles. 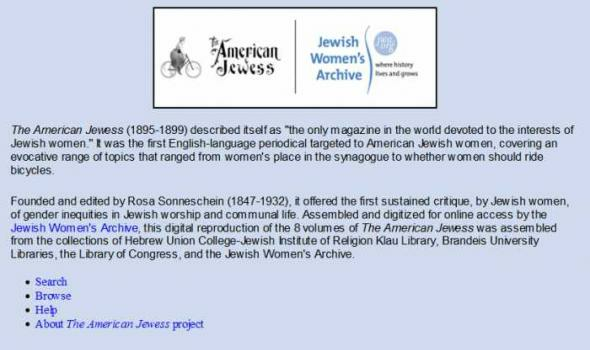 The full text of these books can be searched, and they are also listed in our catalogue. 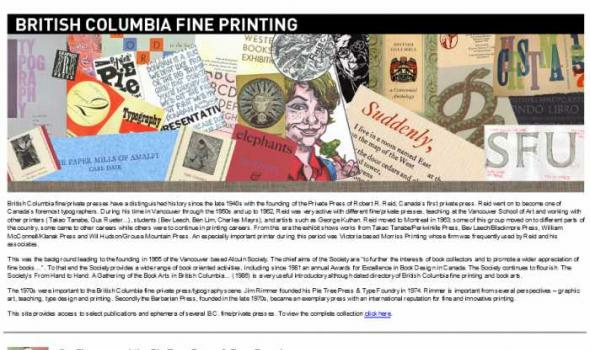 Canadian Poetry is a collection of poetry from published contemporary and 19th century Canadian poets. Contemporary poets have selected their poetry and provided biographies. 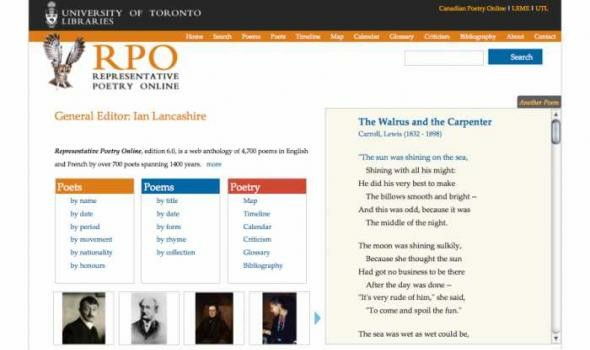 Canadian Poetry is produced by the University of Toronto Libraries. 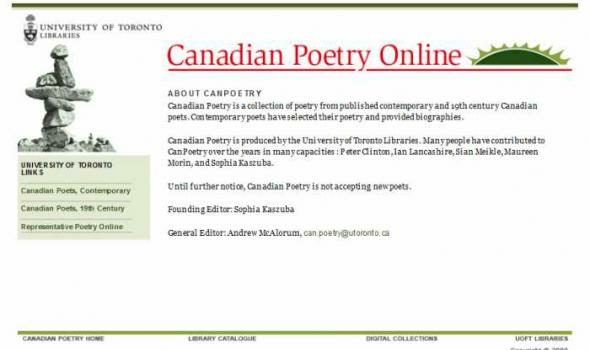 Many people have contributed to CanPoetry over the years in many capacities : Peter Clinton, Ian Lancashire, Sian Meikle, Maureen Morin, and Sophia Kaszuba. 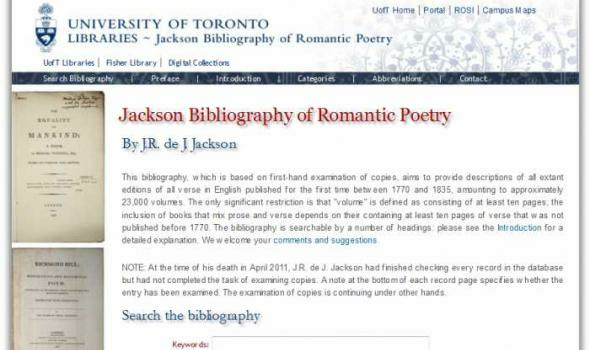 Jackson Bibliography of Romantic Poetry By J.R. de J. Jackson This bibliography, which is based on first-hand examination of copies, aims to provide descriptions of all extant editions of all verse in English published for the first time between 1770 and 1835, amounting to approximately 23,000 volumes. The only significant restriction is that "volume" is defined as consisting of at least ten pages; the inclusion of books that mix prose and verse depends on their containing at least ten pages of verse that was not published before 1770. 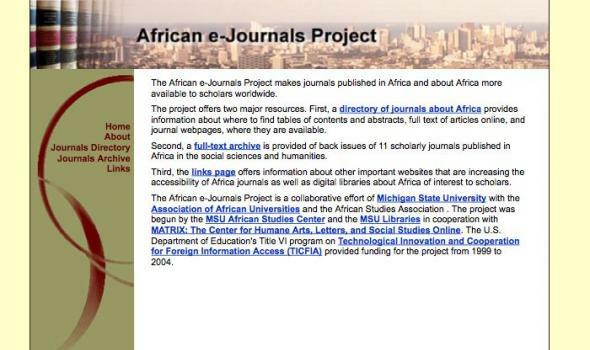 The bibliography is searchable by a number of headings: please see the Introduction for a detailed explanation. We welcome your comments and suggestions . 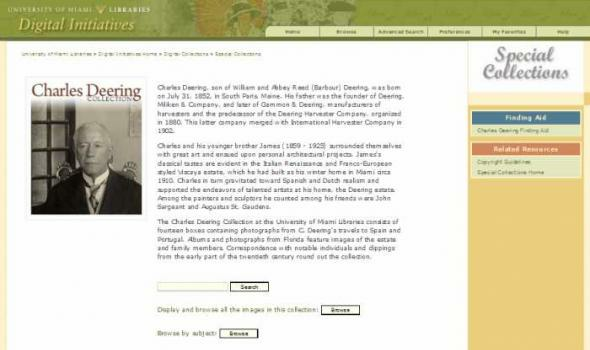 NOTE: At the time of his death in April 2011, J.R. de J. Professional performers of all kinds in England and Wales toured to provincial towns, monasteries and private residences before 1642. 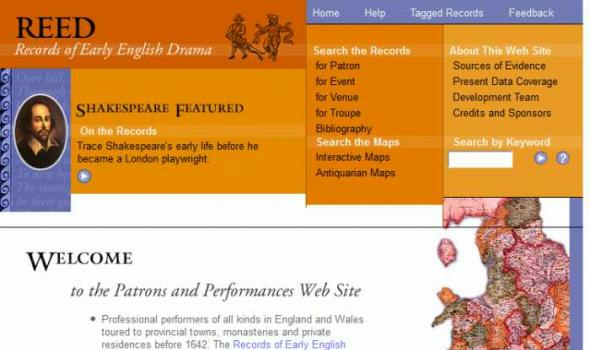 The Records of Early English Drama (REED) project is discovering fresh evidence about medieval and renaissance entertainment for publication in volumes for all English, Scottish and Welsh counties. The REED Patrons and Performances Web Site is designed to include a wide range of data about professional performers on tour in the provinces – their patrons, the performance venues they used and the routes they took across the kingdom. 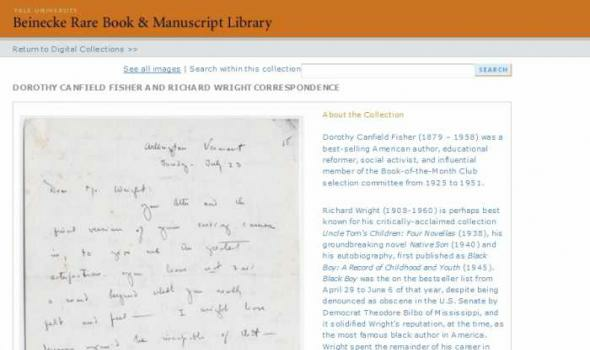 Most of the data relating to the published REED collections is now uploaded. Please see ‘Present Data Coverage’ for more details. Hollar was born in 1607, the son of an upper middle-class civic official. Very little is known about his early life, but he evidently learned the rudiments of his craft by age eighteen, left his native Prague at age twenty, and likely studied in Frankfurt under Matthaus Merian. 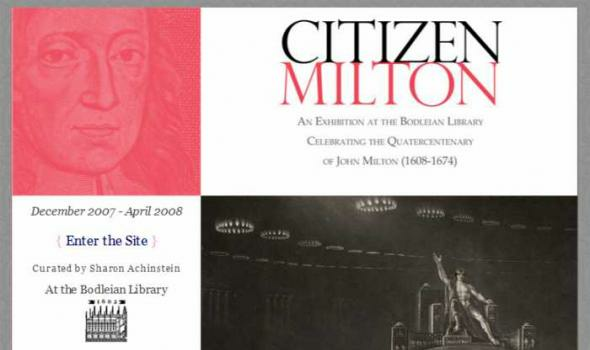 His first book of etchings was published in 1635 in Cologne when Hollar was twenty-eight. The following year he came to the attention of the renowned art collector the Earl of Arundel who was making an official visit to the continent, and Hollar subsequently became a part of his household, settling in England early in 1637. He remained in England during the beginning of the English Civil War period, but left London for Antwerp in 1642, where he continued to work on a variety of projects. 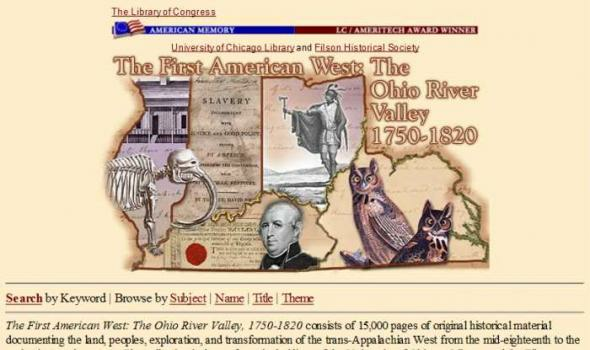 Theodore Bolton Collection Theodore Bolton was a librarian, art historian, and artist. Bolton received a diploma in the arts from that Pratt Institute in Brooklyn, New York, in 1915. 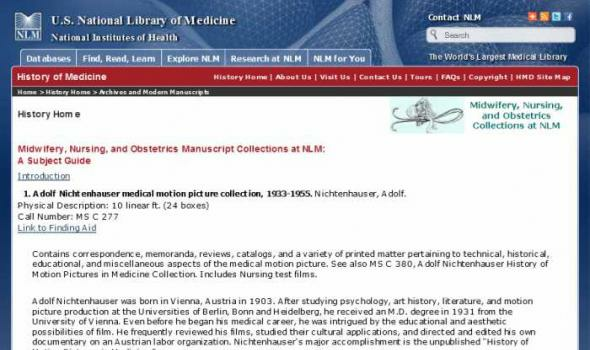 He studied library science at the same institute, receiving a diploma in that subject in 1924. He pursued formal academic work later in his life as well, receiving in 1937 a B.S. in education, and a M.A. in education in 1940, both from New York University. Thereafter, he received an M.F.A. from Columbia in 1955. 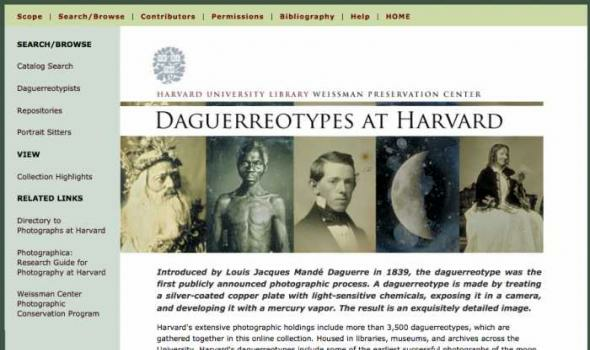 In addition, he studied at Harvard during the summers from 1937 to 1939. Upon his retirement, Bolton and his wife moved to Coconut Grove, Florida. Theodore Bolton died at his Coconut Grove home on Friday, December 7, 1973. 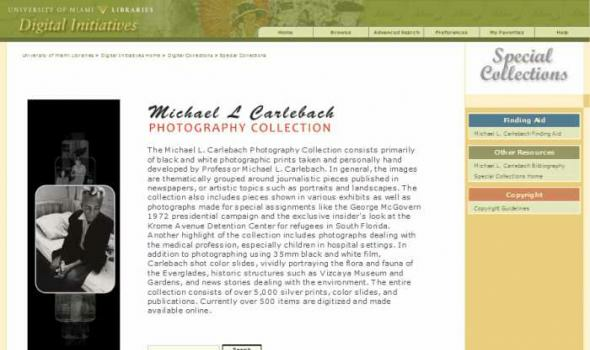 The Michael L. Carlebach Photography Collection consists primarily of black and white photographic prints taken and personally hand developed by Professor Michael L. Carlebach. 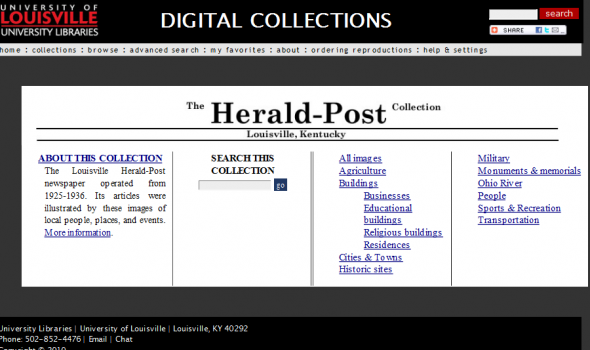 In general, the images are thematically grouped around journalistic pieces published in newspapers, or artistic topics such as portraits and landscapes. The collection also includes pieces shown in various exhibits as well as photographs made for special assignments like the George McGovern 1972 presidential campaign and the exclusive insider's look at the Krome Avenue Detention Center for refugees in South Florida. Another highlight of the collection includes photographs dealing with the medical profession, especially children in hospital settings. 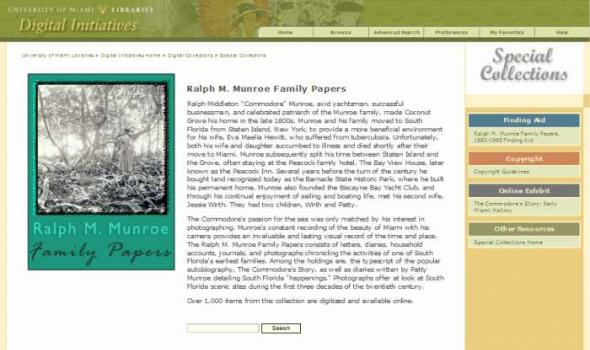 Ralph M. Munroe Family Papers Ralph Middleton "Commodore" Munroe, avid yachtsman, successful businessman, and celebrated patriarch of the Munroe family, made Coconut Grove his home in the late 1800s. Munroe and his family moved to South Florida from Staten Island, New York, to provide a more beneficial environment for his wife, Eva Maelia Hewitt, who suffered from tuberculosis. Unfortunately, both his wife and daughter succumbed to illness and died shortly after their move to Miami. Munroe subsequently split his time between Staten Island and the Grove, often staying at the Peacock family hotel, The Bay View House, later known as the Peacock Inn. 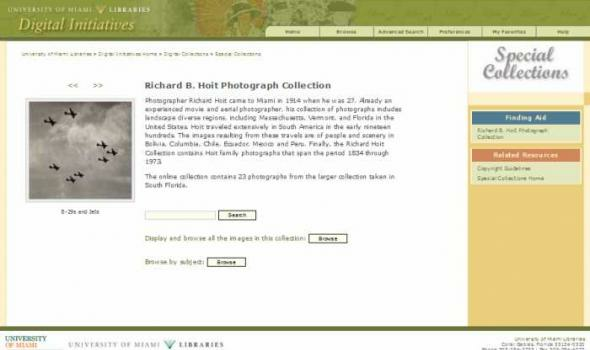 Richard B. Hoit Photograph Collection Photographer Richard Hoit came to Miami in 1914 when he was 27. Already an experienced movie and aerial photographer, his collection of photographs includes landscape diverse regions, including Massachusetts, Vermont, and Florida in the United States. Hoit traveled extensively in South America in the early nineteen hundreds. 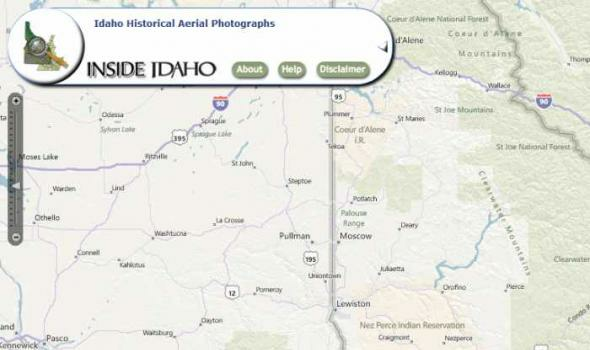 The images resulting from these travels are of people and scenery in Bolivia, Columbia, Chile, Ecuador, Mexico and Peru. 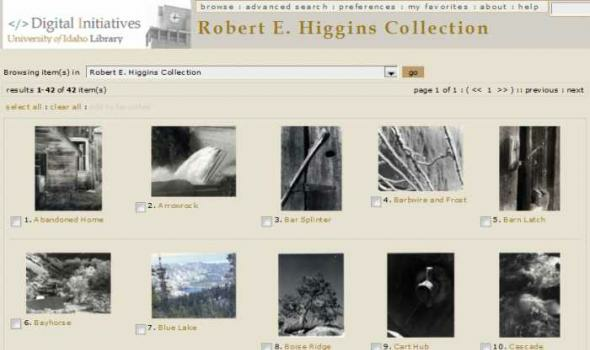 Finally, the Richard Hoit Collection contains Hoit family photographs that span the period 1834 through 1973. 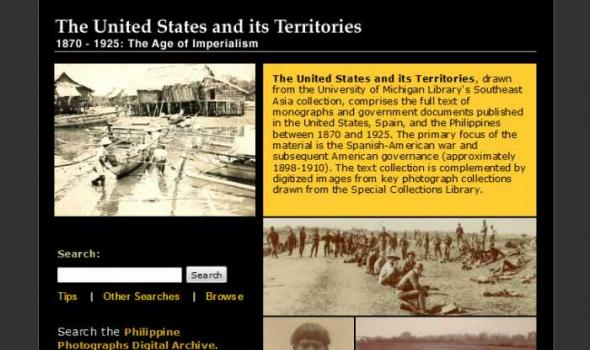 The online collection contains 23 photographs from the larger collection taken in South Florida. 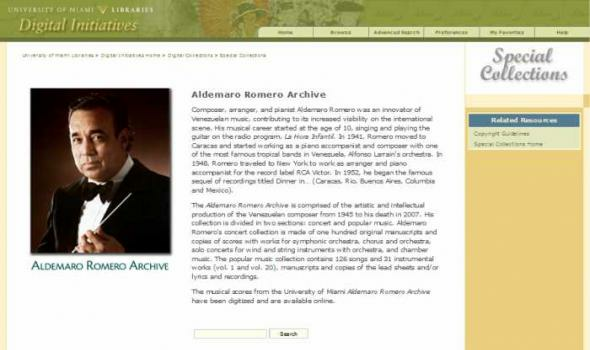 Composer, arranger, and pianist Aldemaro Romero was an innovator of Venezuelan music, contributing to its increased visibility on the international scene. His musical career started at the age of 10, singing and playing the guitar on the radio program, La Hora Infantil. In 1941, Romero moved to Caracas and started working as a piano accompanist and composer with one of the most famous tropical bands in Venezuela, Alfonso Larrain's orchestra. In 1948, Romero traveled to New York to work as arranger and piano accompanist for the record label RCA Victor. In 1952, he began the famous sequel of recordings titled Dinner in… (Caracas, Rio, Buenos Aires, Columbia and Mexico). Marjory Stoneman Douglas (1890-1998) led an extraordinary, long life, and established herself as one of South Florida's premier personalities of the twentieth century. Douglas' importance as a female writer and reporter of both local and national significance is further impacted by her pioneering role as an environmental and political activist. As a writer and reporter she enjoyed a distinguished career first as an assistant editor for the Miami Herald and later as an O. Henry Award winning short story writer and novelist.